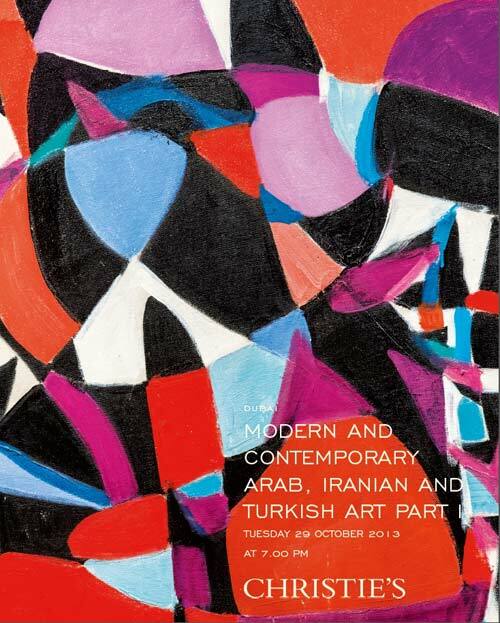 A captivating work by the modern Iraqi master, Shaker Hassan Al-Said (1925-2004), who co-founded the Baghdad Modern Art Group in 1951, is one of the early highlights of the sale. His work is deeply rooted in the intellectualism of both Sufism and western philosophy. He worked with abstract forms but within the suffused pale greys and blues is the Arabic phrase La Ghalib Illa Allah, There is no Conqueror but God, also the title of the work (illustrated on the front page; left). The artist’s deep spirituality is reflected in his use of this phrase across the canvas. The work was previously in the collection of Dr. Sulaiman Al Askari, the editor in chief of Al Arabi Magazine and the former President of the National Council of Kuwait, with whom the artist was a close friend. Executed in 1987 at the time of the Iran-Iraq war, this work has a deep significance in revealing the artist’s hope for the future fate of his homeland. A beautiful oil painting by the master of modern Egyptian art, Mahmoud Saïd entitled Assouan – Les Rochers, leads the part II sale. This soft landscape painted in 1949, shows a view of the majestic Nile from the river bank with a felucca in the distance and two women collecting water at its edge. It carries an estimate of $50,000-70,000. Part II will offer around 100 lots with estimates beginning from $2,000. The first ever online only sale of art in this category is led by a powerful image by the celebrated international artist Mona Hatoum (Palestinian/British, b. 1952). Over My Dead Body, a photograph from an edition of six shows the artist in profile with a plastic toy soldier climbing along the bridge of her nose. The statement ‘Over My Dead Body’ is written in capital letters across half of the picture, a powerful, strong message from this prodigious and celebrated artist. It was executed between 1988-2002 and is expected to sell for $30,000 to 45,000. 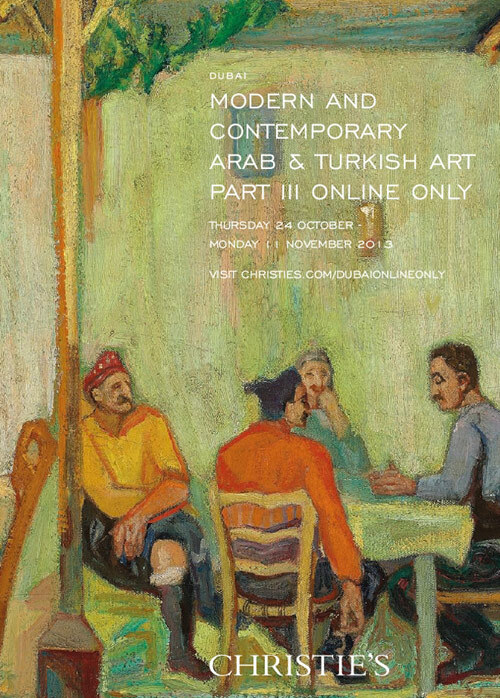 From modernist masters like Mahmoud Saïd, to cutting-edge contemporaries like Joana Hadjithomas and Khalil Joreige, the artists represented in Part III of Christie’s online only Modern and Contemporary Arab and Turkish sale, form a rich tableau of a diverse, complex heritage that links three continents. 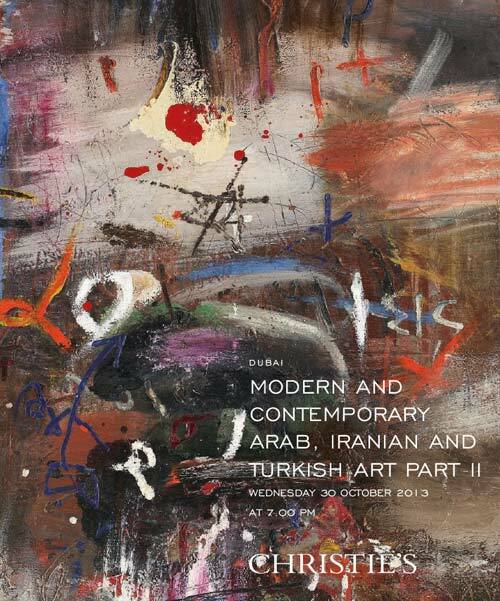 Underscored in context by art from some of today’s most important artists working in the Middle East today, the selections include dozens of influential Modern Egyptian works from the collection of Dr. Mohammed Said Farsi, one of the most important collections of its kind in private hands. Paintings by artists like Saïd, the Wanly brothers, and Hamed Nada represent three generations of Egyptian Modernism; the groundbreaking artists who made them earned international acclaim through blending formal experimentation with sensitive portrayals of daily life and patriotic yearning — themes as poignant today as they were during Egypt’s struggle for Independence. Don’t miss this chance to own a piece of this dynamic, important tradition.